Any tandem from this era is very hard to find nowadays. 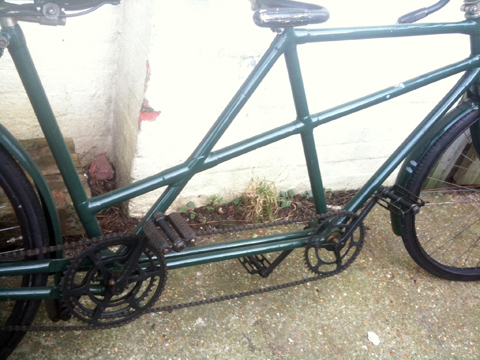 A Humber tandem is particularly rare. 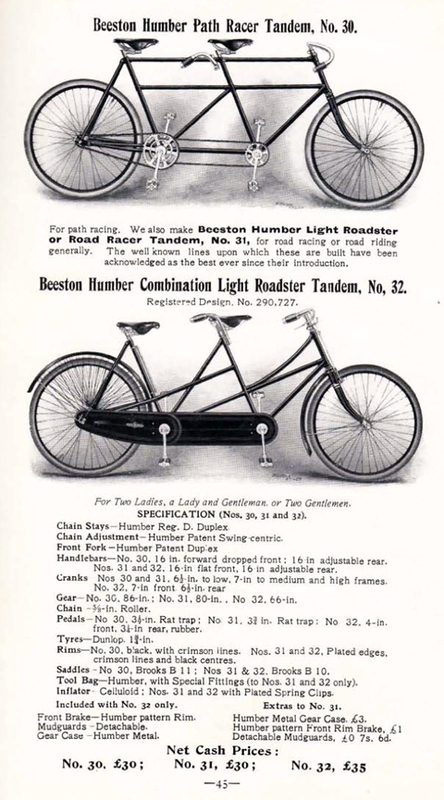 You can see its likeness to the Beeston Humber Light Roadster Tandem illustrated in the 1901 Humber catalogue, below. That one is a convertible front, while this is fixed. 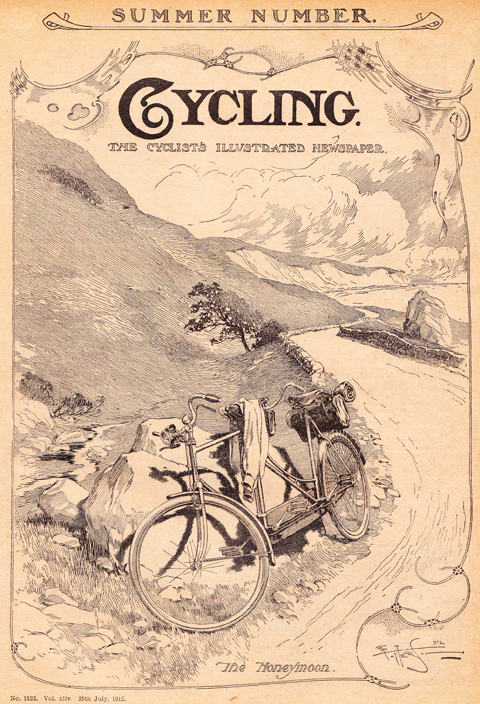 The chainwheels are similar to the Path Racer Tandem also illustrated. This one was previously owned (and restored) by the well-respected collector Bill Bush. It sports the Humber patented duplex chain stays (to the driving side only) and has been renovated with Chater Lea cranks. A pair of Shirley 20 inch drop handlebars are fitted. There’s a short pull-up rod brake to the front, and an Eadie Coaster (back-pedal) brake on the rear. The pull-up front and coaster rear brake combination provides an uncluttered handlebar …and also gives both front and rear tandem rider access to a brake. 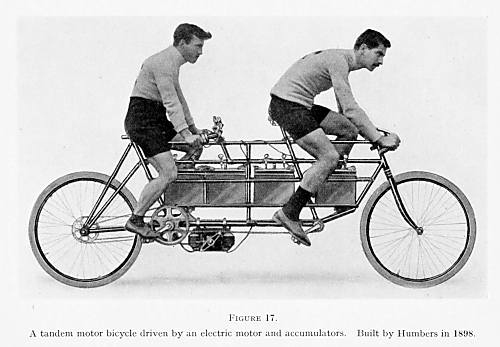 The Humber Electric Tandem below, with four accumulators and an electric motor, plus pedal power from two riders, was exhibited at the Stanley Show in November 1897. 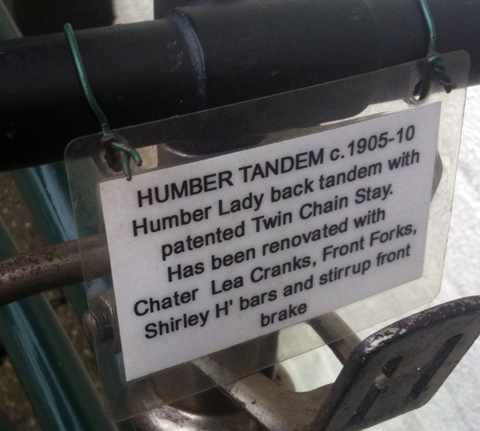 Tandems were not always featured in the Humber catalogue. As you can see in the extract below that I have reproduced from a 1904 trade list, the company stated that demand for them was low. 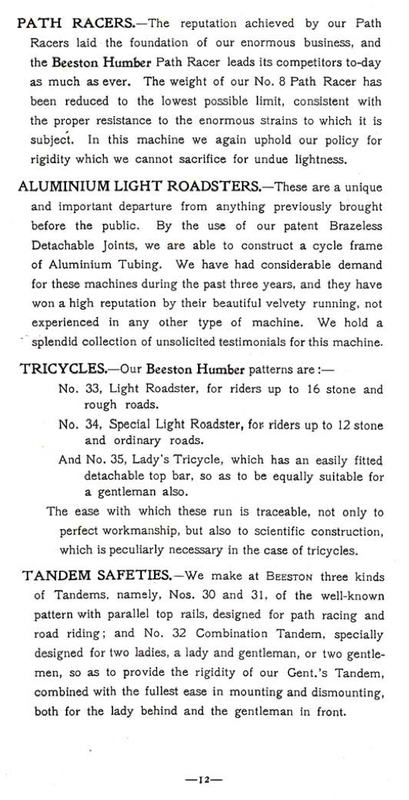 Like most companies, Humber preferred to make special machines such as tandems to special order. 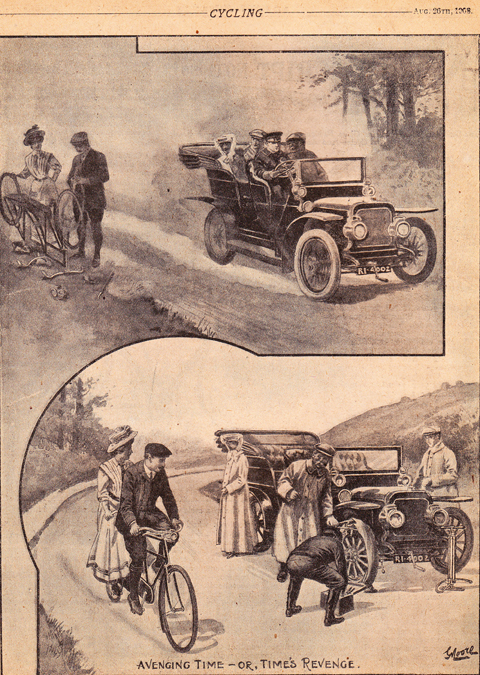 The 1900 and 1901 Humber catalogue featured the page below. 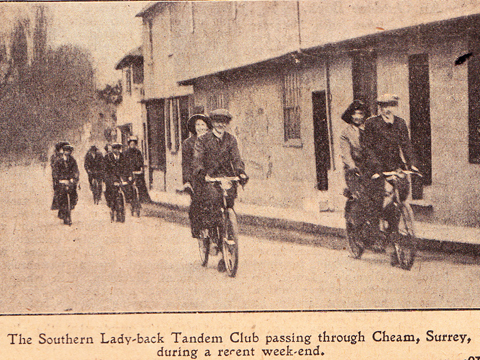 The Southern Lady-back Tandem Club are pictured below, in 1913, on one of their runs.